Add something a little special to your day this summer with a trip on the water. Salters Steamers will be offering cruises to Beale Park from Wallingford to Reading – Tuesday, Wednesday and Thursday from 16th July to 22nd August 2019. Subject to weather and boat availability, please check with Salters Oxford office on (01865) 243421 before making a special journey. 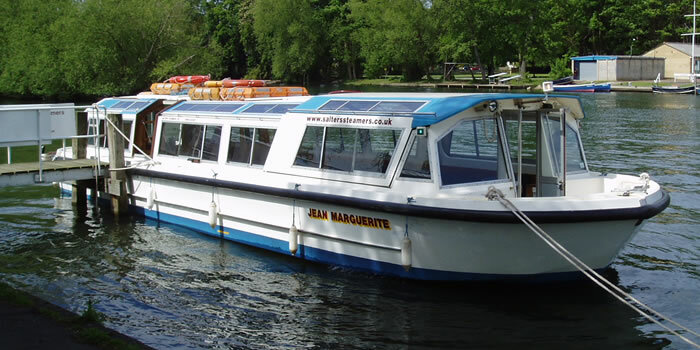 At present this Service will be running on our Passenger Vessel Jean Marguerite. Salters have been operating from Wallingford since 1888 and this service is the longest of our scheduled cruises (15 miles of glorious Thames scenery). Highlights of the cruise include a number of famous waterside restaurants and striking private houses. For further information on dates, times and prices, please call 01865 243 421.